The Modball Rally USA 2017 see the teams heading from San Francisco to Las Vegas via some epic detours along the way. All in good time for SEMA. The 2017 Modball Rally USA edition starts in San Francisco and then off to Los Angeles via Highway 1 with a stop in San Diego for some Skydiving before heading to Las Vegas just in time for Sema Show (Specialty Equipment Market Association). Its a jam packed rally starting on Friday the 26th of October and the teams reach the finishing line on the 30th of October 2017. It sounds like a lot of fun! Modball Club Members can sign up for the rally via the Moball Rally App. You can invite three guests to this event. Members can have a team of 2 or a team of 4 in 1 or 2 cars. If you are a team of three you will receive one room per hotel with an extra pull out bed. - 5 Star Hotels in San Francisco (Thursday 26th October), Los Angeles (Friday 27th October), San Diego (Saturday 28th October), Las Vegas (Sunday 29th October), Monday breakfast and awards. - Team packs including lanyards and wristbands. Minimum age is 21, any car is accepted with at least two modifications, cosmetic or mechanical. 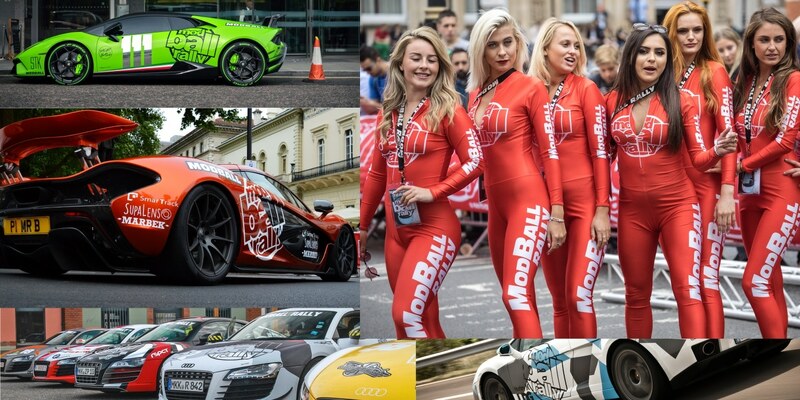 We’ve had sports cars, movie cars, a fire engine, tour buses, monster trucks, supercars, run-a-rounds, almost everything, the Modball Rally encourage drivers to be as creative as possible with their car. As standard each two person team receive one hotel room shared by two people. If you have three people in your team you will receive one room still but with an extra bed as standard. If you have four people in your car you will receive two rooms as standard. If you have 3 people in your team and would like an extra room an additional $2000 will be added to your total team entry.